A pastoral scene from Sicily showing temporary airfield of No. 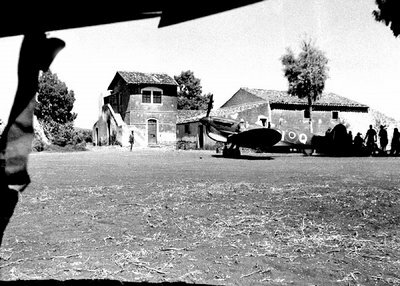 417 Squadron RCAF at a farm near Lentini. An Italian farmhouse visible in the background was used as squadron HQ. The visible Spitfire Mk. Vc (Trop) is marked AN-Q. August 26th, 1943.